This Spring when the prairie dogs stuck their noses out of their holes, they noticed that there was something wrong. Prairie dogs are smart and intelligent creatures, loving a life of community and harmony with their surroundings. There was a familiar sight and scent that seemed to be missing. Justine was nowhere to be seen or felt. Justine Witlox-Beker, the “Prairie Dog Lady”, was always there to feed them and ensure that their needs were taken care of. When Winter 2012/13 was approaching, she organized volunteers at Frenchy’s Field to dig out the horehound and other noxious weeds from the big field and reseed it with grasses and wildflowers that they could eat. That was when the first signs appeared that something was seriously wrong with her health. She already had a limp and pain in her leg, but after she tripped on the handle of a cart, she really began to have a harder time being mobile. Then one night, she broke her femur right near the hip and was taken to the hospital for surgery. The word “cancer” was mentioned, but it was not until about a month later that she was called to the Cancer Center at Christus St Vincent’s Hospital when tests began to show that her bones were, in her words, ”riddled with holes”. She had Plasma Cell Leukemia. Of course, it did not stop her directing operations at the park from her wheelchair. Her feet and legs were swollen and she was in constant agony. Getting in and out of her van was a nightmare for her for a trip to the hospital or the Cancer Center for chemo or radiation treatment. She had organized with the Corrections Department to provide inmates to assist in the weeding and reseeding of the field and just before Winter, she organized a campaign to place grass and grain in the openings of the burrows so the prairie dogs would have adequate food before their hibernation. She was very meticulous about the correct food and the way to insert in into the opening. Her whole life was devoted to these little animals and her beloved dogs. She was a real animal lover and had bird feed containers all around her home. Justine was quite a character! She had a diverse range of skills, talents and contradictions. A glance at her vast library gave me an idea of the breadth of her interests. She had numerous books on Mesoamerica, Art, Cooking, Mythology, History, Geography, Science, Native Literature, novels, Judaism, Mapmaking, Navigation, Dressmaking and, of course, Bridal décor, dresses and cakes. The last wedding cake of her company, Cuisine Justine, was made under her direction from her wheelchair! She specialized in providing everything needed for the perfect and special wedding that only Justine’s touch could create. Josepha C. Witlox-Becker, known to her friends as Justine, was born on July 18th, 1943 in the town of Tilburg, in the province of Noord Brabant, in the Netherlands. She was born of a Jewish mother and a Christian father, a fact that she was not made aware of until she was about 16-years old. She was the youngest of 3 girls. After earning a degree in research, specializing in textile analysis, she worked in a laboratory for the largest retail company in Europe. She then moved to California and became an inspector in the fashion industry. This started her on the path towards a standard of excellence she would carry throughout her lifetime in everything she did. She was smart, intelligent, educated, expert at whatever she chose to do, and was demanding in her expectations of herself and others. If you met her standards, she was a dedicated and loyal friend and you were a better person for it. 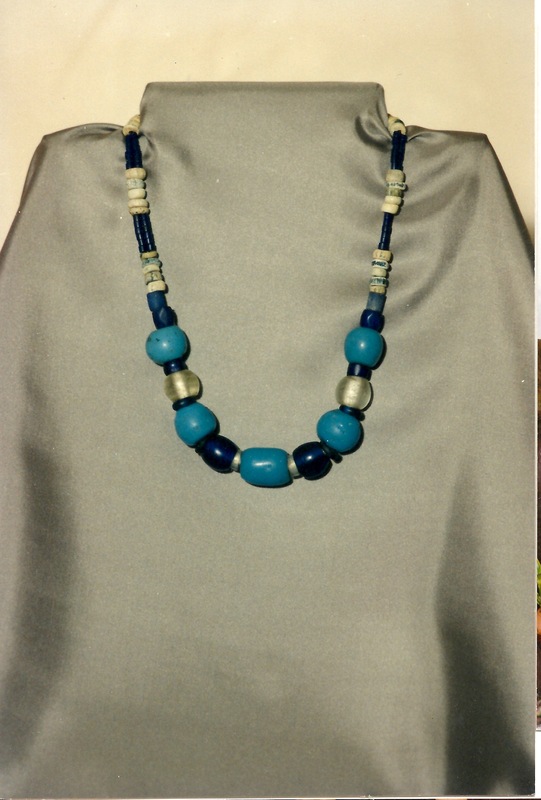 She was known and loved by many around Santa Fe from the days of Becker’s Delicatessen, which she co-owned for more than a decade, and through her wedding catering business, Beyond Adobe Walls, which incorporated her multi-talented skills in the culinary arts, interior design, fashion, jewelry, textiles, and art. She enhanced her skills at Peter Kump cooking school in NY and later at the University of Kansas in Manhattan, where she learned the art of making French bread and pastry. Her wedding cakes were beautiful and delicious, and her incredible architectural cakes were works of art, some modeled exactly to scale from existing adobe buildings. She was an ardent history and art lover and a talented adobe artist. 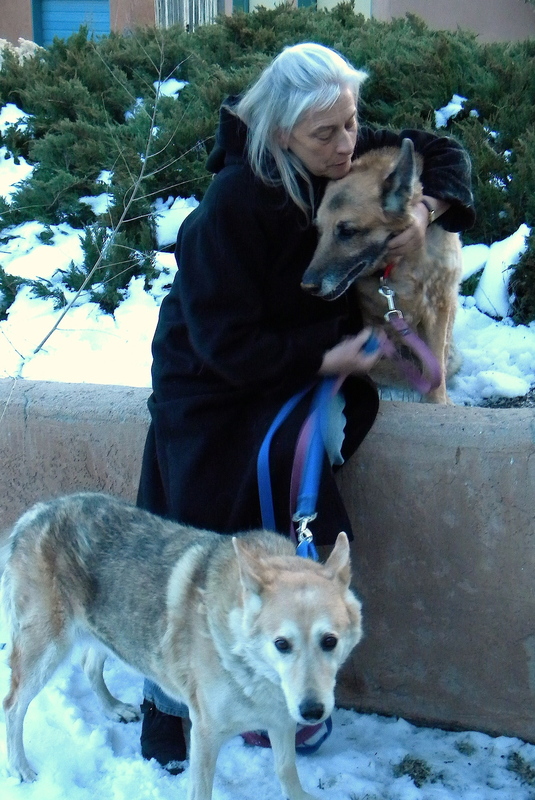 She was a passionate advocate for the Prairie Dogs of Santa Fe and went to great lengths to protect them in their habitats, especially at Frenchy’s Field, bringing them food and initiating a program to reseed the park with edible plants using volunteer help and the assistance of the NM Corrections Department. She collaborated widely with Animal Rights and Nature advocacy organizations and City and Park officials and was known and loved as a feisty woman who knew how to stand up for what she believed to be right. Before her passing, Justine was excited about the idea of creating a Water Wheel at Frenchy’s Field. A Water Wheel is a circular ceremonial space laid out on the ground. It is created from ancient, traditional, geometrical design elements. 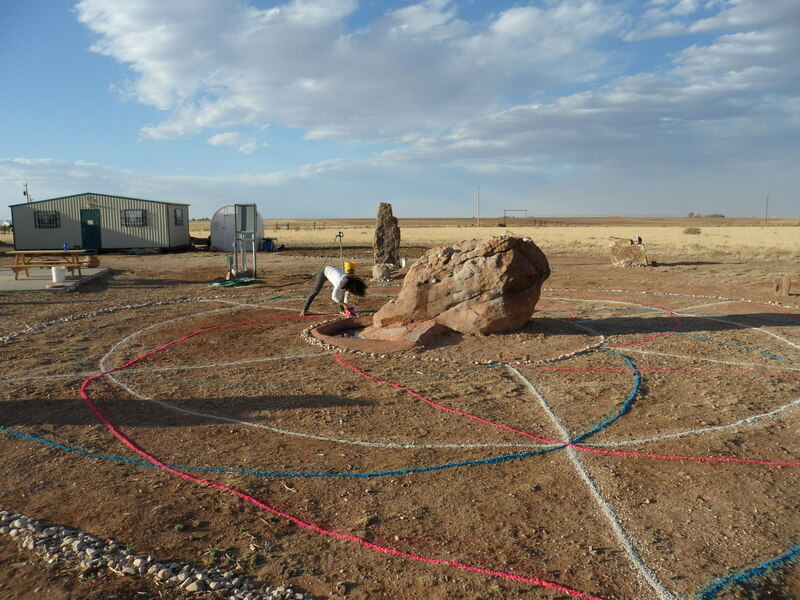 These patterns combine to generate a powerful, healing, ceremonial vortex, which enhances and expands the intentions and prayers of participants in the ceremony and energizes ceremonial objects and water placed on the central circular altar. The form of the Native American Medicine wheel with the four directions is combined with the Sacred Geometry of the six-fold division of the circle to form the 6 petals of the Flower of Life. The design is laid out in furrows filled with colored stone, cornmeal or rocks. Call Raphael (575) 770-1228 email: HealingTheScars@Gmail.com or J. (340) 474 9001 email: j.lynchiii@Gmail.com to help or donate. Donations can be made out to Raphael Weisman (memo: water wheel) 1929A Arroyo de las Cruces Rd, Santa Fe NM 87505. 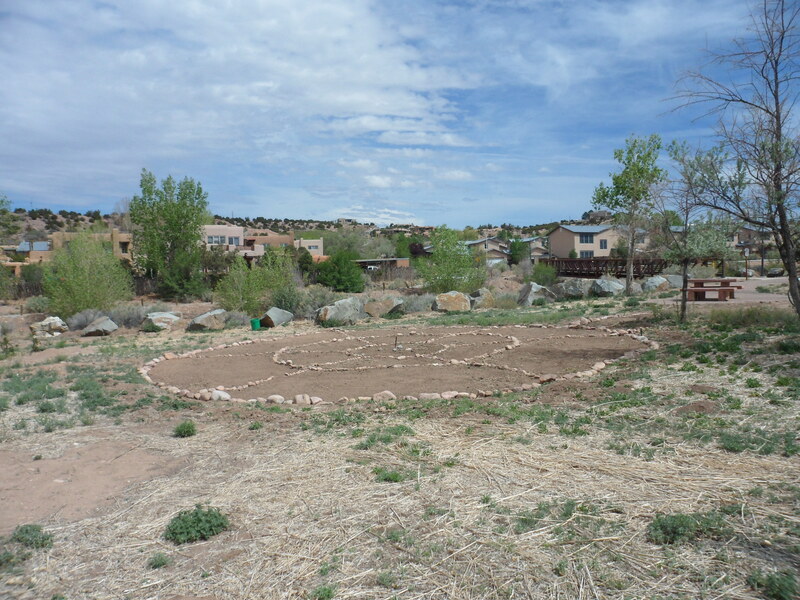 This is a project of the Santa Fe Water Awareness Group and the Lorien Foundation. The Lorien Foundation is a New Mexico non-profit organization, which is planning a Santa Fe Global Water Festival in 2015 and operates under a fiscal umbrella with a 501 c) 3 tax exempt status.